Finally, the time has come to have the web presence on the global platform. Launching a new website, representing the professionalism of your enterprise and capturing customer/clients attention, these guidelines must keep in mind when you are going to launch a new website. 1. Website Title: A general or descriptive headings of the website plays an important role as it identifies your company, products, services and site. • Pleasant colors that complements images and text on your site. • Fonts to be choose in such a manner that it is same font consistently throughout your site. • High-quality websites make use of a consistent theme; focused, clear and understandable. 3. Content: Content should be simple, easy to understand and grammatically correct. • Check headings for every section. • Highlight the important matters. • Using a font size large enough to be comfortably read by your visitors. 4. Cross-Browser Checks: It’s important that your website works on all the popular browsers. It must be cross browser compatible on all web browsers like Internet Explorer 6, 7 and 8, Firefox 3, Safari 3, Chrome, Opera and the iPhone. 5. 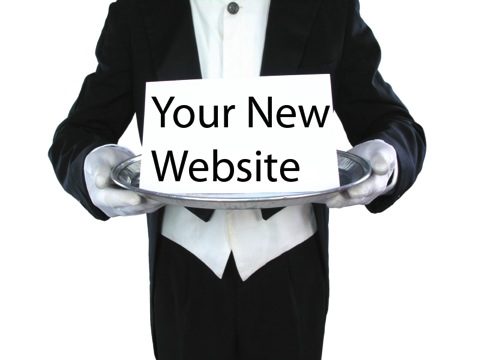 User Friendly: Websites are simple to navigate, quickly loaded and provide visitors with helpful information. Make sure the resolutions and file sizes of images are not too large. 7. W3C Validated XHTML / CSS: Validate your website with W3C standards, as it is like an approval of the main Web guidelines, specifications, and tools, including HTML and CSS. 8. Functionality: Does your website is functioning properly? Test everything from contact forms, search functions, shopping baskets to log-in areas. It is very important when customer’s face any problem they start loosing interest and this will have negative impact on your website. There are various exclusive points to be kept in mind but to start these are the essential.